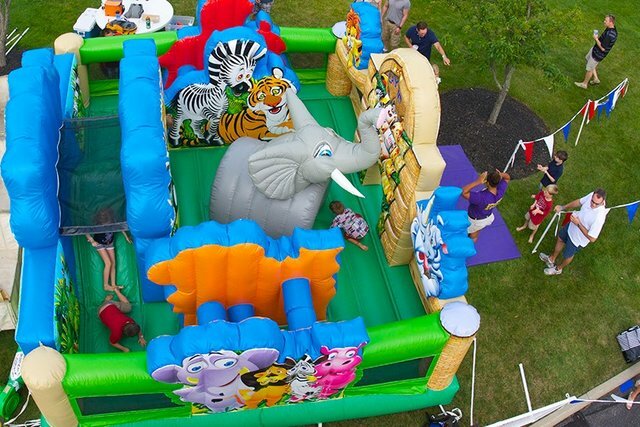 This animal-themed playland is perfect for the littlest of patrons. 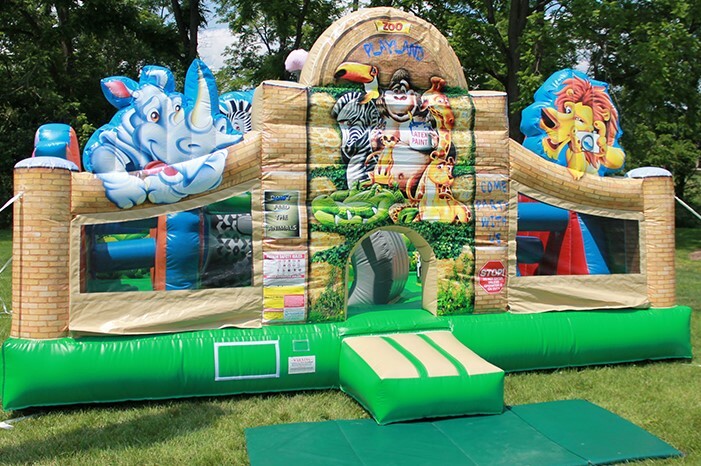 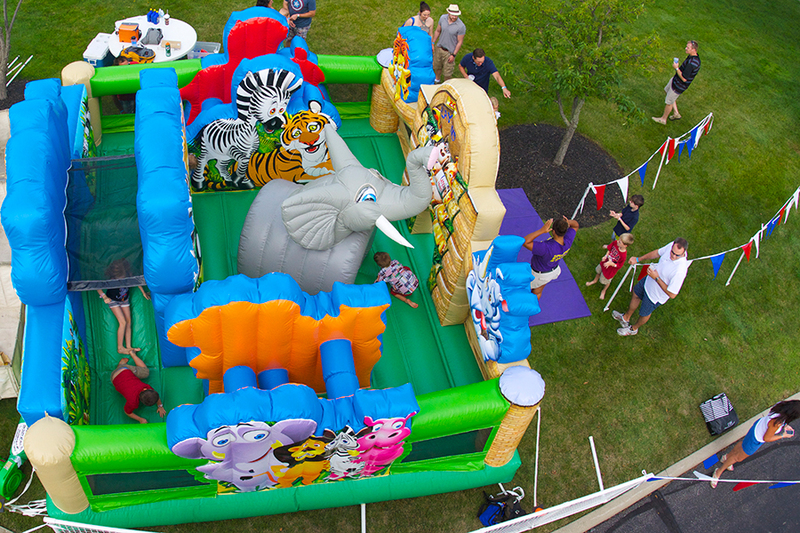 With room for 8 kids, this inflatable features dazzling digital print both inside and out and on all four sides, kid-friendly obstacles, and themed pop-ups... all of that, and it only takes up a small footprint (16' x 19'). 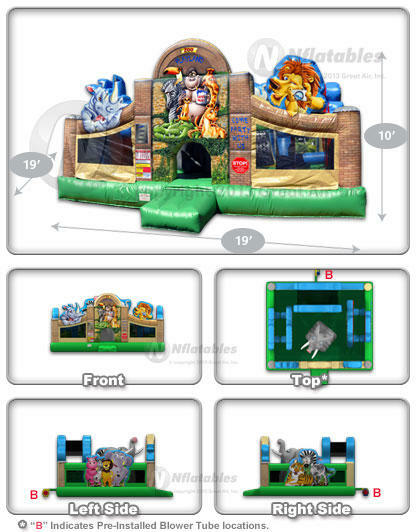 This inflatable will really get the party going!